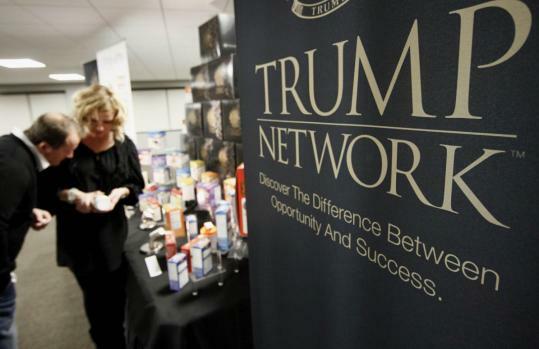 'MLM' The American Dream Made Nightmare: Donald Trump fronts 'ACN' - an 'MLM' racket, preying on British Muslims. What crime has Trump committed? Anonymous - I would refer you to the US federal Racketeer Influenced and Corrupt Organizations (RICO) Act, 1970. Mr. Trump claims to be a 'billionaire businessman who knows how to make the USA great again', but anyone with an ounce of commercial common-sense can immediately smell that so-called 'MLM income opportunities' have precious little to do with 'business' in the traditonal sense of the word. Mr. Trump has sold his famous name (and kitsch image) to cultic criminals so that they can attract more victims into their related frauds, and prevent them from complaining. The co-opting of a this amoral celebrity opinion-maker (using stolen money) forms part of an overall pattern of ongoing major racketeering activity as defined by the RICO Act. 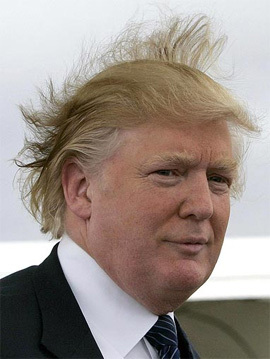 Of course, if the bosses of the 'ACN' racket are ever held to account, Trump's defence will be one of ignorance, but, laughably,Trump's spent most of his adult life pretending that he's the smartest guy in the room. In respect of the 'ACN' racket, Mr. Trump has quite obviously been committing (and benefiting from) related frauds, and obstructing justice by preventing victims of these frauds from complaining. Anonymous - On the contrary, in this article (and subsequent comments) I have compiled an evidence-based analysis of 'MLM' racketeering in general and of 'ACN' in particular, along with a further evidence-based analysis of Mr. Trump's leading role in this criminal enterprise: whilst you have volunteered your demonstrably-inaccurate opinion that my evidence-based analysis, is merely my opinion. It's only your opinion, because MLM is legal. Anonymous - Lying to people or withholding key-information from them, in order to take their money, is fraud, which is a form of theft. The proposition that it is possible for ordinary persons to generate an overall net-profit by participating in any form of rigged, closed-market (i.e. without a significant or sustainable source of external revenue) is a lie. Since the 1940s, countless racketeers have been getting away with operating closed-market swindles dissimulated as 'legal MLM income opportunities,' whilst hiding the evidence that these swindles have produced effectively 100% loss/churn rates. By repeating the jargon-laced lie that 'MLM is legal,' you would appear to be one of these racketeers, or one of their agents.